Juried Artists show "Nautical and Nice" reception tonight (3/28), Cape Cod Art Center, Barnstable, MA. I have two paintings on display -- hope you'll check them out. I don't generally paint seascapes or boats -- perhaps a function of living inland! But when I have the chance, I enjoy the opportunity to paint coastal scenes. Each summer, we attend the New Bedford Folk Festival, which gives me a chance to sketch fishing boats, etc. 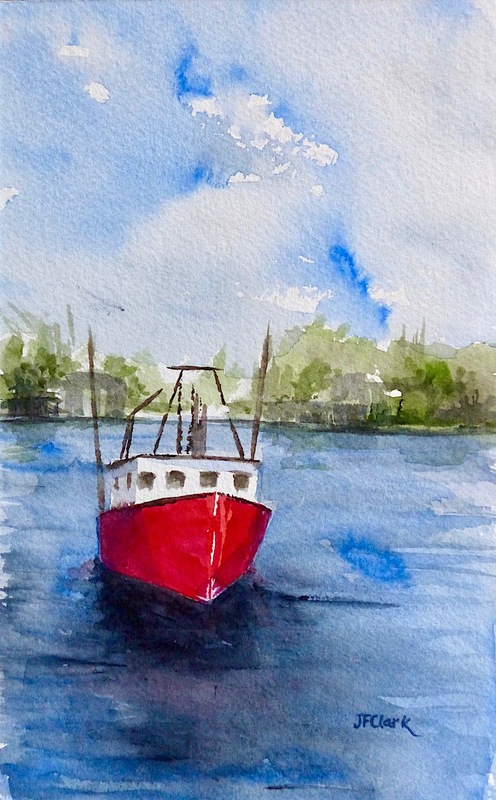 Here is a sketch of a single vessel that I painted very quickly, using my small travel-size paint-box, while in New Bedford last July. 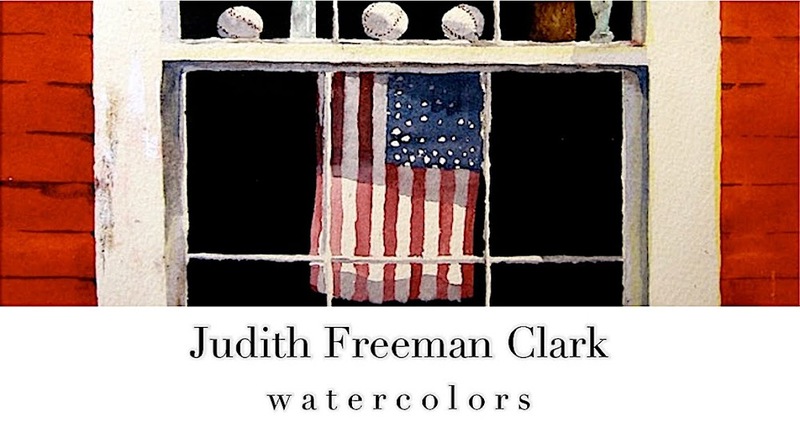 transparent watercolor 5" x 8"